Return to Catalog Index page. ALL OF OUR SUBMARINE HULLS COME IN ONE PIECE (EXCEPT ROUND NUCLEAR SUBS) AND INCLUDE THE CONNING TOWER MOLDING (MOLDED IN FIBERGLASS) WHICH WILL NEED TO BE CUT OUT WHERE THE BRIDGE INSTALLATION WOULD BE. THESE ARE BASIC SHAPES THE DETAILING IS LEFT TO THE MODELER TO ACCOMPLISH TO THEIR SATISFACTION. CAST POLYMER RUDDERS AND DIVING PLANES ARE INCLUDED WITH EACH OF OUR SUB HULLS, WHICH WILL NEED TO BE DRILLED BY THE BUILDER TO INSTALL THE SHAFT RODS. IN SOME CASES OTHER FITTINGS SUCH AS HATCHES, CLEATS, CAPSTANS ARE ALSO INCLUDED. NOTE: YOU CAN ORDER THE DECK GUNS FOR THESE SUBS DIRECTLY FROM H-R PRODUCTS, WE NO LONGER SUPPLY THEM. IT SHOULD BE NOTED THAT OUR FLAT DECK SUBS DO NOT COME WITH DECKS, ON THE EARLIER SUBS THE HULL COMES OPEN AND THE DECK NEEDS TO BE FABRICATED. FOR NUCLEAR SUBMARINES THIS DOES NOT APPLY. 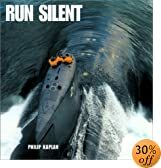 Run Silent by Philip Kaplan - Oversized coffee table book which covers the history of submarines as well as the modern US sub fleet. The Compete Idiot's Guide to Submarines by Michael DiMercurio, Michael Benson - what a great book, so much detail on the operation of a submarine in a highly readable format. Very highly recommended. The GATO class Submarines first entered operational service in late 1941,just in time for the onslaught of World War Two. There were 73 GATO class boats built during 1940 to 1944. Unfortunately for the sub service they were robbed of most of their early successes by faulty torpedoes, but even with this handicap it was these subs that inflicted the greatest damage to the Japanese navy and merchant fleet. This hull features one piece construction and has the forward dive plane and anchor wells and the rudder skeg molded in and comes with a fiberglass conning tower molding, and exterior arrangement plans. Also included with this hull is a fittings package: deck and escape hatches, anchor, mooring cleats, capstans, stem chock and cast polymer rudder and fore & aft dive planes. The BALAO class Submarines were developed from the previous GATO class subs. This class clearly resembled the earlier boats except for a smaller conning tower and armament changes along with a thicker and stronger steel pressure hull to increase diving capabilities. There were 121 BALAO class boats built during the war and they had the least number of losses then any other class of front line boats. A couple of these subs survive today as museums. Also included with this hull is a fittings package: deck and escape hatches, anchor, mooring cleats, capstans, stern chock and cast polymer rudder and fore & aft dive planes & periscope shears, as well as a fiberglass conning tower molding and a set of exterior arrangement plans. Seaphoto makes two CD's for this class of submarine. To see the Pampanito CD, click here, and to see the Cobia/Cod CD, click here. The USS STURGEON (SSN-637) submarine. 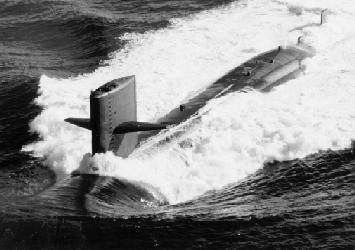 A mainstay of the Cold War, these submarines gave many years of fine service, and were the last class in the US Navy to have the traditional "fish" names. (The next, Los Angeles Class of submarines were named after American cities, when asked why, Admiral Hyman G. Rickover commented, "Fish don't vote!") This hull features two part construction with the long towed sonar array housing molded into the top half. We have also scribed in most of the details such as: escape hatches, flood Ports and vents and the torpedo tube shutters. A set of cast polymer rudders and dive planes as well as the sail and a set of external arrangement plans are included with this hull. SUB-17 USS LOS ANGELES SSN-688 SSN-688 1/96 44 1/2"
The USS LOS ANGELES(SSN-688) class subs are among the most capable submarines the US Navy currently operates. There are 66 boats in this class originally, though some have been decommissioned. These subs have seen continuous evolution of their design with vertical launch tubes for 12 Tomahawk cruise missiles starting with USS PROVIDENCE (SSN-719). One of the more noticeable changes came with the USS SAN JUAN (SSN-751) when the forward dive planes were relocated from the sail, down to the bow. This hull features two part construction with the long towed sonar array housing molded into the top half. We have also scribed in most of the details such as: escape hatches, flood ports, vents and the torpedo tube shutters. A set of cast polymer rudders and dive planes as well as the sail and a set of external arrangement plans are included with this hull. Please note: The plans that are supplied with this hull are modified from, and used with permission of Deep Sea Designs, and are sufficient to build a model using the supplied hull and parts. If you would like a full version of these plans, you are strongly encouraged to order them from Deep Sea Designs. SUB-17A USS PROVIDENCE SSN-719 SSN-688 1/96 44 1/2"
The USS PROVIDENCE is an improved LOS ANGELES class nuclear attack submarine. Modifications including adding 12 vertical launch tubes for missiles to the hull, freeing up space in the torpedo room. This hull features two part construction with the long towed sonar array housing molded into the top half. We have also scribed in most of the details such as: escape hatches, flood ports, vents and the torpedo tube shutters. A set of cast polymer rudders and dive planes as well as the sail and a set of external arrangement plans are included with this hull. SUB-17B USS SAN JUAN SSN-751 SSN-688 1/96 44 1/2"
The USS SAN JUAN SSN-751 is the first of the ImprovedSSN-688 class subs to be built with forward dive planes moved from the sail to the forward hull to facilitate under ice operations. This hull features two part construction with the long towed sonar array housing molded into the top half. We have also scribed in most of the details such as: escape hatches, flood ports & vents and the torpedo tube shutters. A set of cast polymer rudders and dive planes as well as the sail and a set of external arrangement plans are included with this hull. The USS BENJAMIN FRANKLIN (SSBN-640) is the first of 12 Ballistic Missile Submarines that were built during the early 1960's to bring up the required force levels of the US Navy's sub launched nuclear deterrent forces around the world. These subs are externally similar to the previous USS LAFAYETTE class (SSBN-616 to 636) but with improved sensors, weapon systems and machinery. Our hull set for this sub features two part construction with the large missile deck molded with the top half. We have also scribed in such detail as missile hatch locations, safety track, deck hatches, flood vents and torpedo tube doors. included with this hull is the fiberglass sail molding and cast polymer dive planes and rudders along with the'winglets that mount on the aft dive planes skegs. A set of external arrangement drawings for the SSBN-641 also accompanies this hull. A recent addition to this hull are a set of fiberglass indexing strips to help align the hull halfs and ease construction. 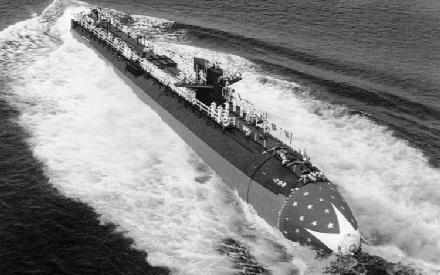 The Lafayette class Ballistic Missile submarines were the third class of SSBN's that the US Navy built. 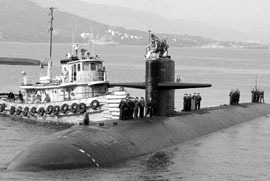 There were 9 units of this class completed during 1963 and 1964 there was also an additional 10 units built as the James Madison SSBN-627 class during 1964 which look virtually identical to the Lafayette's, thus they are generally considered the same class. It was a feat of national urgency to design, build and commission these ballistic missile subs and have them operational is just a few short years, it is doubtful that a program such as this could ever be repeated. From the keel laying of the USS George Washington SSBN-698 in1957 until the commissioning of the USS Will Rogers in 1967, only nine and one half years had elapsed, most of the subs were completed during 1963 & 1964. In this time the US Navy had built what was referred to as the '41 For Freedom'. This hull is hand laid fiberglass and comes in 2 halves, Top & Bottom + sail, cast resin aft dive planes & sail planes and rudders. A set of exterior a Arrangement plans also comes with this model. The Soviet ALFA class Fast Attack Subs were the fastest and deepest diving submarines built during the Cold War years when they were required to out perform any SSN's that the West could deploy against them as they stalked the US Navy's Ballistic Missile Submarines. Our 1/8" ALFA hull is suitable for not only a superb and impressive static model, it can also be made into an excellent running radio controlled model as well. The ALFA would make a formidable adversary on any model boat pond. Our ALFA hull features two part construction with the streamlined sail molded into the top half and an index lip molded into the bottom half for easier hull alignment. Also scribed in detail such as hatches, vent, flood holes and the torpedo tube shutters, and comes with a set of cast polymer dive planes and rudders (3 piece assemblies) and an external arrangement plan set. NOTE: A watertight cylinder with the motor, shaft and dive tank installed is available for this submarine. Check with D & E Miniatures at this link; be sure to tell them Scale Shipyard set you! For a complete change, why not try our hull for the former Soviet AKULA class fast attack submarines? Akula 'Shark ) class submarines are among the Russian Navies most technologically advanced undersea weapons. Similar in appearance to the ALFA class, but much larger, these subs were developed from the previous VICTOR 3 class and have more effective quieting measures which makes them difficult for NATO ASW farces to track. This hull is a very convenient size for submerged operations, and perfect for threatening NATO vessels in any model boat pond. 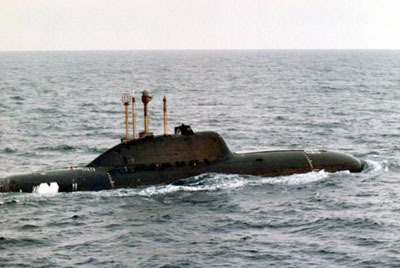 Our AKULA hull features two part construction with the streamlined sail molded into the top half, scribed in detail such as hatches, vent ,flood holes and the torpedo tube shutters, and comes with a set of cast polymer dive planes and rudders (3 piece assemblies) and the large towed array pod for the top of the rudder as well as a set of external arrangement plans. This hull now comes with a pair of fiberglass index strips to help with hull alignment. Our medium sized GATO class submarine is for the modeler who wishes a larger model then our 1/8" scale sub, but a more manageable sized model than our larger 1:48 scale version. At 52 inches overall, this hull will fit across the rear seat of most cars and will even fit in the overhead bin of most airliners for the Person who wants to travel with their sub. This hull features molded in detail such as the anchor wells, forward dive plane recesses, flood holes and bottom vents, rudder skeg, torpedo tube doors and the shaft exits & strut locations. included is a fiberglass conning tower molding and exterior plans set. Also included with this hull is a fittings package: hatches (deck and escape) , anchor, mooring cleats, capstans, stem chock and cast polymer rudder and fore & aft dive planes. Our medium sized BALAO class submarine is for the modeler who wishes to build a larger model then our 1/8" scale offering, but not as large as our 1/48 scale version . At 52 inches overall, this hull will fit across the rear seat of most cars and will even fit in the overhead bin of most airliners for the person who wants to travel with their sub. This hull features molded in detail such as the anchor wells, forward dive plane recesses, flood holes and bottom vents, rudder skeg, torpedo tube door and the shaft exits & strut locations. included is a fiberglass conning tower molding and exterior plans set. Also included with this hull is a fittings package: hatches (deck and escape), anchor, mooring cleats, capstans, stern chock, periscope shears and cast polymer rudder and fore & aft dive planes. The 1/72 scale SSN-594 class hull is for the model submariner who wants a larger sub, but does not have the room for our 1/48 scale. This boat has ample room for all the electronics that you might want to put in your sub, with a bit of room to spare. Our hull is just right to fit across the back seat of most cars, at less than 4 feet long. The hull is molded in two halves, top and bottom, and has all the major details such as hatches, torpedo tubes and vents scribed in. Included with this hull is a cast sail, dive planes, and rudders as well as exterior arrangement plans. Our medium sized STURGEON hull is for the modeler who wants something a bit larger than the 1/96 scale SSN-637, but does not quite have the room for the larger 1/48 scale boat. This model will easily fit into the back seat of most cars. The hull features two part construction with the long towed sonar array housing molded into the top half. We also scribed most of the details such as escape hatches, flood ports and vents as well as the torpedo tube shutters. A set of cast polymer rudders and dive planes are included,as is a set of external arrangement plans. Our medium sized ARCHERFISH hull is for the modeler who wants something a bit larger than the 1/96 scale SSN-678, but does not quite have the room for the larger 1/48 scale boat. This model will easily fit into the back seat of most cars. The hull features two part construction with the long towed sonar array housing molded into the top half. We also scribed most of the details such as escape hatches, flood ports and vents as well as the torpedo tube shutters. A set of cast polymer rudders and dive planes are included,as is a set of external arrangement plans. Our medium sized LOS ANGELES is for the modeler who wants something a bit larger then the 1/8" scale SSN-688 but doesn't quite have the room for the larger 1/4" scale boat, so we produced a hull set that falls just about right in between the two. This boat can fit into the back seat or trunk of most cars. This hull features two part construction with the long towed sonar array housing molded into the top half. We have also scribed in most of the details such as: escape hatches, flood ports & vents and the torpedo tube shutters. A set of cast polymer rudders and dive planes as well as the sail and a set of external arrangement plans are included with this hull. This hull now comes with fiberglass indexing strips to help with assembly. NOTE: This hull will come as a flight I with or without the towed array housing. We will also be making patterns for the flight II and III boats. The 6 SKlPJACK class submarines were the first subs to be built that combined the new teardrop hull form and nuclear power, these were the fastest subs in the US Navy until the LOS ANGELES class boats came out 18 years later. 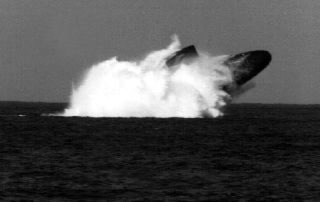 The GEORGE WASHINGTON (SSBN588) class missile subs were based on SKlPJACK hulls as well. These subs served for over 3 decades and were kept as front line units until their disposal. One of this class, the USS SCORPION (SSN-589) was lost with all hands in May of 1968 to an accident that is still classified. This boat will easily fit into the back seat or trunk of most cars. This hull features two part construction. We have also scribed in most of the details such as: escape hatches, flood ports and vents and the torpedo tube shutters. A set of cast polymer rudders and dive planes as well as the sail and a set of external arrangement plans are included with this hull. The USS Skipjack now comes with a set of fiberglass indexing strips to help align the hull halfs and ease construction. This larger GATO class submarine is large enough to make it very suitable for submerged operations, or if you are not quite ready to take the plunge, she also makes a beautiful surface runner as well. The deck opening in this hull is just over 5" wide, thus allowing ample access to the subs interior without having to cut the top of the hull off for installing your running equipment. This hull features one piece construction and has the forward dive plane and anchor wells and the rudder skeg molded in and comes with a fiberglass conning tower molding, and exterior arrangement plans. Also included with this hull is a fittings package: hatches (deck and escape) anchor, mooring cleats, capstans, stem chock, radar unit, periscope tops, watertight canister covers and cast polymer rudder and fore and aft dive planes. Special Shipping: This hull can be shipped via FEDEX Ground Service as in OS-2 size package. Shipping and handling in the USA 48 states is $ 110.00. This larger BALAO class submarine is large enough to make it very suitable for submerged operations, or if you are not quite ready to take the plunge, she also makes a beautiful surface runner as well. The deck opening in this hull is just over 5" wide, thus allowing ample access to the subs interior without having to cut the top of the hull off for installing your running equipment. This hull features one piece construction and has the forward dive plane and anchor wells and the rudder skeg molded in and comes with a fiberglass conning tower molding, and exterior arrangement plans. Also included with this hull is a fittings package: hatches (deck and escape) anchor, mooring cleats, capstans, stem chock, radar unit, periscope tops, watertight canister covers and cast polymer rudder and fore and aft dive planes. Our 1/48 scale USS ARCHERFISH (SSN-678) is for the modeler who likes more room in their boats for additional operating features, or just a larger more impressive model of this class submarine patrolling just under the waves of the local pond under their control. This hull features two part construction with the long towed sonar array housing molded into the top half. We have also scribed in most of the details such as: escape hatches, flood ports and vents and the torpedo shutters. A set of cast polymer rudders and dive planes as well as a fiberglass molded sail, and a set of external arrangement plans are included as well. Our 1/48 scale USS LOS ANGELES (SSN-686) is for the modeler who likes more room in their boats for additional operating features, or just a larger more impressive model of this class submarine patrolling just under the waves of the local pond under their control. This is one of the largest submarine hulls available on the market today. This hull features two part construction with the long towed sonar array housing molded into the top half. We have also scribed in most of the details such as: escape hatches, flood ports and vents and the torpedo tube shutters. A set of cast polymer rudders and dive planes as well as a fiberglass molded sail, and a set of external arrangement plans are included with this hull. This ALFA class submarine is perfect for the modeler who would like a larger scale model of a modem nuclear submarine, but does not have the room that is demanded by so many of these designs. Despite a compact length, the ALFA has a wide beam to fit in all the operating features that you care to engineer into this model. Our ALFA hull features two part construction with the streamlined sail molded into the top half, scribed in detail such as hatches, vent & flood holes and the torpedo tube shutters, and comes with a set of cast polymer dive planes and rudders (3 piece assemblies) and an external arrangement plan set. The I-19 class submarines were large, long range subs designed and built to be able to cross the Pacific and attack shipping along the west coast of the United States or to strike at will at US Naval Units crossing the Pacific to do battle with the Imperial Japanese Navy. This hull has the anchor wells, torpedo tubes, hull stiffeners, flood hole pattern and shaft exits and strut locations molded in comes with a fiberglass conning tower, cast polymer rudders and dive planes and a set of external arrangement plans. This is one of the most detailed fiberglass submarine hulls available anywhere and was 8 years in preparation. Detailing on the hull was accomplished by David White over a six month period with every step researched for accuracy. Special Shipping: This hull can be shipped via FEDEX Ground Service as in OS-3 size package. Shipping and handling in the USA 48 states is $ 195.00. 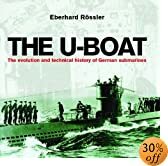 The U-505 is the only preserved Type IX U-boat in existence today, although the U534 was raised in 1994 and is expected to be overhauled and put on display in Denmark or Germany in the near future. 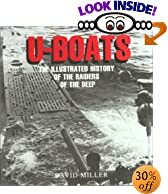 The 505 was captured off the coast of Africa on June 4th 1944, just 2 days before the Normandy invasion, the German navy code books were captured intact and rushed to allied headquarters where they played an invaluable role in countering the moves of U-boats trying to attack the invasion fleet. 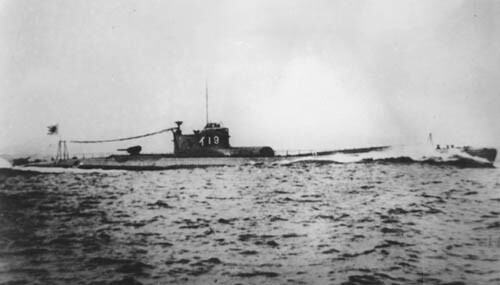 After its capture, the U-505 was towed back to the United States for further study and evaluation. In 1956 when the navy was done with the 505, it was planned to take it out in the Atlantic and sink it. instead the sub was towed to Chicago and put on display as a memorial at the Chicago Museum of Science and industry where it can still be seen today. Our Type IX hull represents the U-505 as it appeared when captured and features molded in flood holes and vents, anchor well, torpedo tube doors and the shaft exits & strut locations. Also included with this hull is a fiberglass conning tower ( you have a choice of either the early war or late war long tower) cast polymer rudders and dive planes and a set of external arrangement plans. Our larger Type IX-C is for the model submariner who wants a large german submarine with superior quality and accuracy. Our Type IX hull represents the U-5-5 as she appeared when captured and features molded in anchor well, torpedo tube doors, shaft exits and strut locations. New - All major flood hole locations are now marked on the hull. Also included with this hull is a fiberglass conning tower (your choice, early war or late war long tower), cast polymer rudders and dive plans, housing for the periscopes well as a set of external arrangement plans. Special Shipping: This hull can be shipped via FEDEX Ground Service as in OS-3 +size package. Shipping and handling in the USA 48 states is $ 195.00. 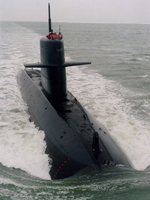 The Dutch Walrus class submarines make up the entire submarine force of the Royal Netherlands Navy. 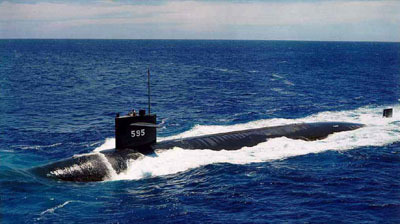 These subs started entering service in 1990, and were to number 6 units, later trimmed to 4 because of budget concerns. Unlike their predecessors, the Walrus employs modern electronic systems, advance sensors all fully integrated with weapons systems. They are mainly employed by NATO in the reconnaissance role. Our scale hull or the Walrus class features two piece hand laid fiberglass construction in 3 halves with the details scribed in. This hull also comes with a fiberglass sail structure, cast polymer sail planes, the 4 rudders for the "X" tail. the small deck mounted sonar dome and a set of exterior plans. This hull also comes with a pair of fiberglass indexing strips to help with proper hull alignment.